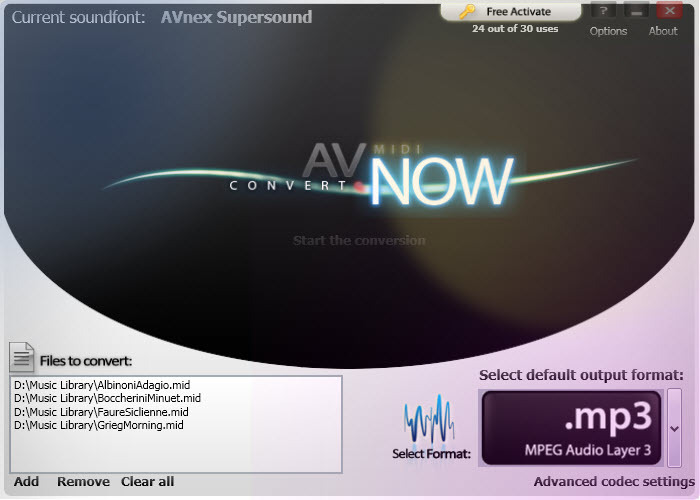 A big library of MIDI song files you can use to convert into other media file formats with AV MIDI Converter. The MIDI files are totally free for download. Be the first to share your comments about this free MIDI converter.